Kade Warner came to Nebraska looking for one thing, which was how he would fit in with the Huskers. After taking an unofficial visit over this past weekend, Warner now has more clarity on just that. As a result, he has a clearer view on what programs are still in the running for him to become a preferred walk-on. With intentions to make a final decision by mid-week, Warner took some time to speak with Hail Varsity about his visit, his decision and the final two schools on his list. Q: How did your visit go? KW: It went really, really well. Coach Tus (Blair Tushaus) – the guy I knew before – is the one that gave me the tour of the facilities and took me to the athletic coaches and everything like that. It was a great tour. I had a really fun time and it was a really cool experience. I got to meet all the coaches which was really cool because they all set a part of time in the day to come meet me and make sure they got to know me. The academic plan that I spoke with the academic coach about was really cool. They make sure that you succeed in whatever major you are with tutoring sessions and all the opportunities they give you. I got to also sit down with the head coach – Coach Riley – for a while and just talk football and talk about my future with the team and where I fit in with the offense. Q: How did Nebraska compare to your other visits that you’ve taken? KW: Compared to the last unofficial I went on to UCLA, UCLA did the same thing touring me around the facilities and stuff but when it came down to the coaches, I didn’t meet [UCLA’s] wide receivers coach, their offensive coordinator or their head coach. Compared to now at Nebraska, I got to meet all three of those guys and not only meet but also get to talk to the head coach for a very long time so that aspect was awesome. That’s obviously why I go on the unofficials to not only see the campus and the facilities but to also meet the coaches and see who I’ll be playing for. Q: What stood out to you about Nebraska’s academic plan for you? KW: It obviously matters a lot to me. That’s why you go to a school. Sometime football is going to end and you need an education to get a job and fulfill for your family. The academic plan at Nebraska – and why I liked UCLA also – was about the one-on-one tutors, study sessions and a MacBook Pro to help you with your studies and to organize all of that into your studies so that when you come to college, it’s not just pushing you out there and going, "Do it yourself." They wean you on to it and it really helps you get into college easy and with an easy transition. That’s what I really enjoyed about the academic coaching part of it. Q: Do you know what you want to major in yet? KW: I do not. Something in math or science but I haven’t quite figured it out yet. Q: What stood out most about your visit overall? KW: I would say the most memorable thing was probably how much the coaches showed that they wanted me on their team and that they wanted to use me in the offense later. That to me was obviously a very important part of choosing a school and [learning about] who you’re going to play under for the next couple of years. With the relationships that I formed with the coaches I met and the relationship I have with Coach Tus, it really made me feel like all of the coaches – from the head coach down to the graduate assistants – all see me as someone they want the best future for and they feel the best place obviously – and I know they’re a little biased – academically and athletically for me is Nebraska. Q: Did you get to walk out of the tunnel? KW: I got to go out on the field and walk across the field. I obviously was able to take a picture of the big ‘N’ on the field, take the red carpet walk and imagine the fan base they have with their 300-something consecutive sellouts and imagine all of the fans right next to you as you walk on the red carpet and to come out on the field with every seat filled. Q: Did you have an opportunity to meet any current Nebraska players? KW: Their quarterback Tristan [Gebbia], he actually threw with me a couple of weeks back so he’s probably the only player I knew on the team at all really so I got to see him again. He was coming in for workouts and our paths kind of crossed and I got to talk to him for a second and then sit down with him a little later in the day when they were going over the offense with [Danny] Langsdorf. I also got to meet another one of their quarterbacks. A couple of their walk-ons and wide receivers wanted to talk to me but they were busy and paths just didn’t cross and the time didn’t allow it but I got to meet a couple of guys. Q: What did Nebraska tell you about the walk-on program? 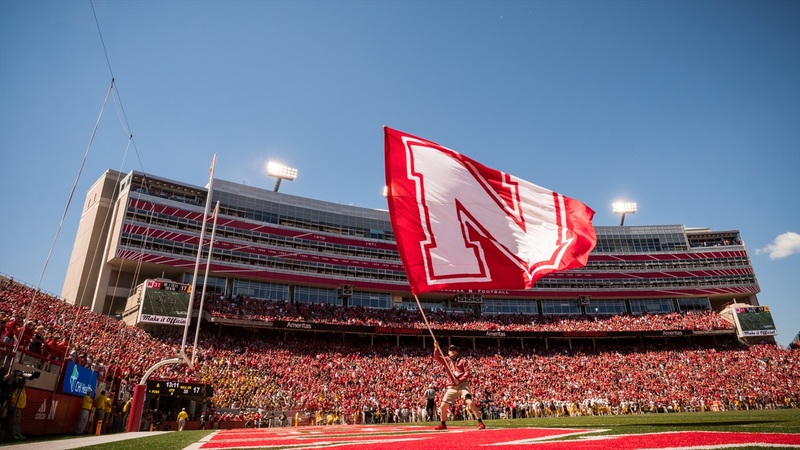 KW: All of the stories of how almost all their walk-ons, as long as they produce, turn into scholarship athletes and how their part of the team and that all of Nebraska cheers for not only the scholarship athletes but also the walk-ons that have success. That’s a huge part of their school history and a huge part of their team nowadays. I wish I could talk to some of those walk-on guys to see how it was with the transition in and competing for spots and things like that but time did not permit. Q: What is your timeline now to decide? KW: I’m going to think about it, pray about it and talk about it with my family to help me make a decision sometime in the middle of this week. Q: How do you plan to announce it? KW: I’ll probably end up tweeting it out at the end of the day. After talking to the coaches obviously, I’ll probably post a picture of me either at Nebraska or me at [Arizona State]. A friend of mine actually does a segment on our [school] announcements and he wanted to make me a video so if that turns into reality, I might have a video that he wants to make. But at the end of the day, it doesn’t really matter how I announce it. Q: Have you narrowed your choices down? KW: I would say it’s narrowed down to just ASU and Nebraska. Q: You’ve been relatively calm throughout this process. What do you credit that to? KW: Obviously there is a plan for me and a plan for all of us so I’m just putting my faith in the man above to put me in a position where I can influence a lot of people. That’s why I think I want to play football when I’m older. I obviously love the game and I love competing but the fact that playing football gives players such a big platform to influence so many people around them, that’s what really drives me to not lose my cool about this recruiting because I know that God has a plan for me and he’ll put me in the best situation to be successful and to have a big platform so I can influence people I want to influence and spread his word.